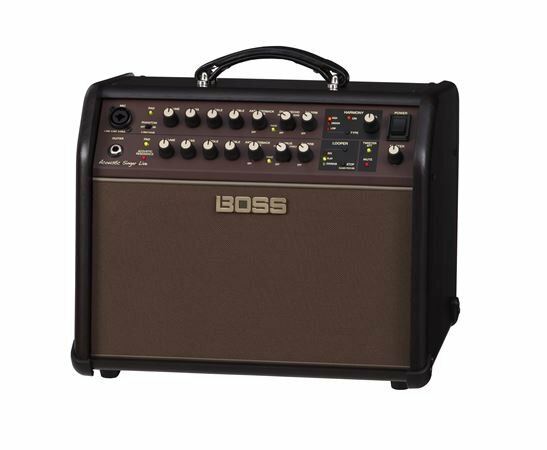 Shop Boss Acoustic Singer Live Acoustic Guitar Amplifier from AMS with 0% Interest Payment Plans and Free Shipping. Amplifying your acoustic guitar with the Acoustic Singer Live is a truly inspiring experience. 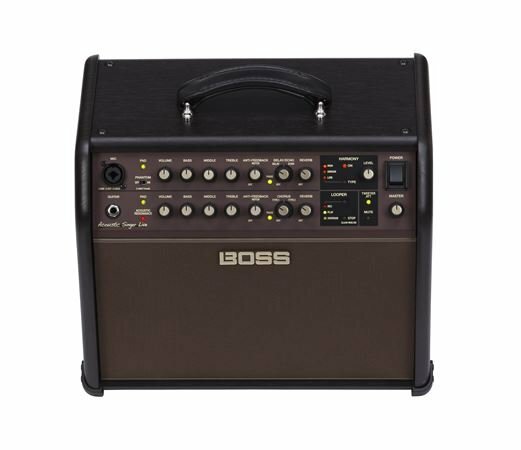 BOSS engineers worked tirelessly to accurately reproduce the instrument’s fast transient response and natural, three-dimensional feel, and each amplifier element was carefully developed to achieve this. A powerful bi-amp design with extended peak power delivers tight, high-definition sound with ultra-clean broadband frequency response. The custom woofer and dome tweeter feature innovative materials and precision design points that work together to fill the stage with rich, naturally diffused sound. Other fine details include a unique cabinet construction method that eliminates unwanted resonances, and an integrated tilt-back design for maximum projection. The Acoustic Singer Live’s rear panel is well stocked for your interfacing needs. Dual DI/Line outputs are provided on XLR connectors, and each features a versatile mode switch for outputting both channels mixed together, or individual channels direct or post-effects. There’s also an aux input with level control, perfect for playing backing music from your mobile device. A USB jack offers a direct computer connection to a DAW, while the Rec/Phones jack provides a standard 1/4-inch stereo connection for quiet practice sessions or recording to portable devices. Numerous jacks are also available for controlling the harmony function, looper, effects, and more via optional footswitches. A Great Tool, A Great Deal. I've only had my Boss Acoustic Singer Live for a little more than a week, but I can tell you it's pretty impressive with all the features. I don't perform live yet, but this is great for practicing licks with the looper and playing with the harmonizer. I can plug the USB to my computer and record it. 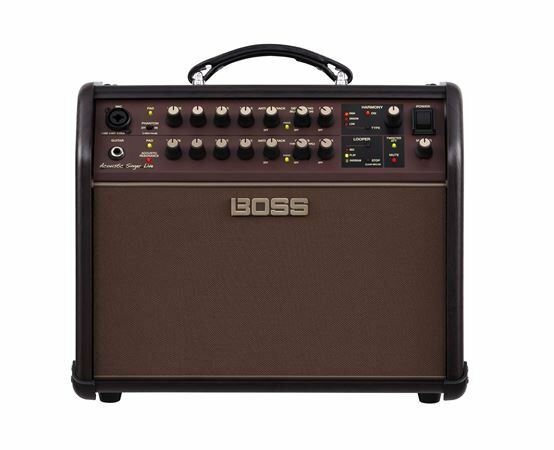 The additional Boss GAFS footswitch allows easy access to reverb and chorus functions. The anti-feedback works like a charm. I'm learning about "acoustic resonance" and the "Tweeter ATT". All great fun! It was backordered from Boss and AMS came through sending it to me earlier than I expected. 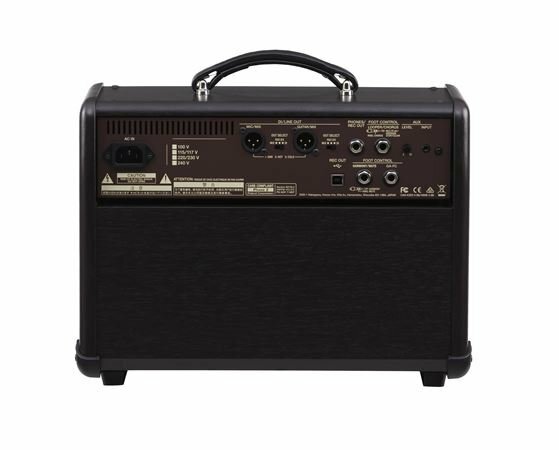 Best small amp that I have ever used. Great amp. Harmonizer is fabulous. First Impressions, SO far Pretty Good. I am giving this a 4 of 5 Sound is Clean at a moderate to somewhat loud level Master at Noon and Levels between 9 and Noon using both a Taylor 316 and a SM 58 for vocals. Additionally I plugged in My PRS HB II via Piezo jack and it sounded pretty awesome with the exception of having to pump up the level a bit to equal the same level as the Taylor. This will be fine for my purposes. I will eventually find out how it does in a larger room. The only Con I have is that the effects do not have enough control as they are a one knob controls all type deal. The Harmonizer used lightly is OK but if you crank it up it does sound a bit over the top. All in all my first impression is pretty positive. An almost tiny amplifier in a beautiful cabinet. The Harmonizer sounds hokey and the reverb and delay effects are disappointing. Overall sound might be better with the pro version which I now wish I had ordered. Clean sound is very good at low to moderate volume.